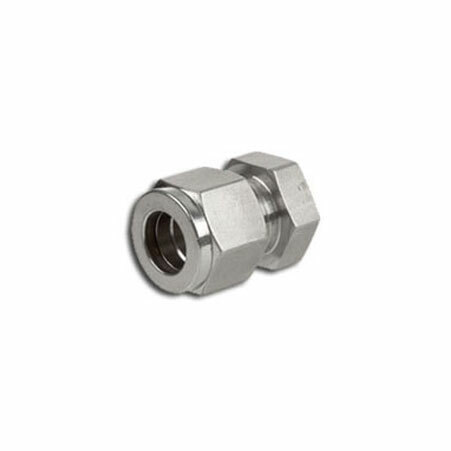 ﻿ Titanium Gr2 Compression Tube Fittings, Titanium Gr2 Ferrule Fittings Exporter. 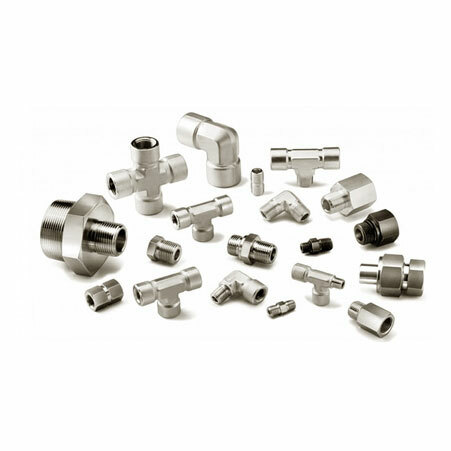 Titanium Grade2 Male Branch Tee Manufacturer, Titanium Gr2 Straight Union Supplier, Titanium Gr2 Ferrule Fittings Supplier In India. We, at Amcometals, focus on delivering quality products that offer excellent usability and reliability. We are and ISO 9001:2015 certified company that dedicatedly works on providing customer centric engagements. We help our customers in choosing the most suitable products for their requirements from the plethora of resources. We are a manufacturer, trader, stockiest, supplier and exporter of Titanium Gr. 2 Compression Tube Fittings. 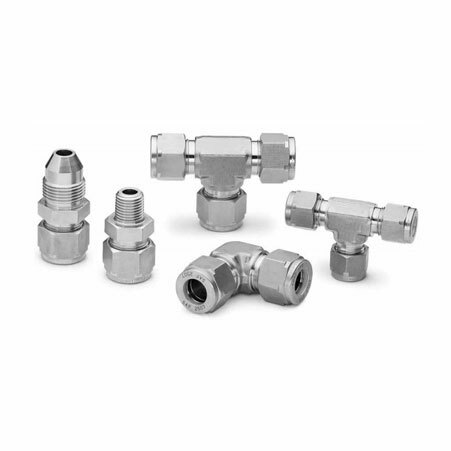 Our UNS R50400 Ti Gr2 Single Ferrule Tube Fittings are used as alternative or replacement which gives easy installation and vibration free operation, all of this without making major changes to the existing system. We supply Titanium Gr. 2 Instrumentation Fittings which work in neutral, reducing and oxidizing surroundings. Our complete customization options have helped us deliver sustainable and economical products for 25 years. ASTM B338 Titanium Ferrule Fittings Manufacturer, Titanium Grade 2 Compresion Tubes Exporter, Titanium Gr2 Double Ferrule Fittings Supplier In Worldwide. Gabon, Germany, Egypt, Zimbabwe, Greece, Namibia, Venezuela, Kazakhstan, Saudi Arabia, Iran, Jordan, Malaysia, Serbia, France, Bolivia, South Korea, Ecuador, Romania, Tibet, Denmark, Israel, Estonia, Poland, Mexico, United Kingdom, Slovakia, New Zealand, Turkey, Spain, Nigeria, Lithuania, Mongolia, Yemen, Iran, Italy, Chile, Trinidad & Tobago,Tunisia, Canada, Sri Lanka, Belarus, Bangladesh, Ireland, Russia, India, Finland, Bhutan, Algeria, Norway, Bulgaria, Morocco, Nigeria, Australia, Pakistan, Peru, Portugal, Kenya, Costa Rica, Kuwait, Nepal, Gambia, Ghana, Hungary, Argentina, Netherlands, Oman, Macau, Angola, Czech Republic, Austria, United Arab Emirates, Puerto Rico, Brazil, Afghanistan, Lebanon, Philippines, South Africa, Bahrain, Libya, Taiwan, Indonesia, Japan, Croatia, Poland, Sweden, Hong Kong, Switzerland, Azerbaijan, China, Thailand, Mexico, Singapore, Ukraine, Qatar, Belgium, Vietnam, Chile, Colombia, United States, Iraq. Karachi, Surat, Vadodara, Pimpri-Chinchwad, La Victoria, Calgary, Faridabad, Algiers, Gimhae-si, Bogota, Cairo, Dallas, Ho Chi Minh City, Ahvaz, Abu Dhabi, Seoul, Ulsan, Atyrau, Indore, Baroda, Perth, Brisbane, Hong Kong, Coimbatore, Dubai, Toronto, Kolkata, Kanpur, Lagos, Courbevoie, Moscow, Noida, Santiago, New York, Sharjah, Chiyoda, Nagpur, Petaling Jaya, Navi Mumbai, Rio de Janeiro, Chandigarh, Nashik, Granada, Doha, Ankara, Jeddah, Singapore, Port-of-Spain, Vung Tau, Dammam, Aberdeen, Mumbai, Hanoi, Jamshedpur, Ernakulam, Pune, Visakhapatnam, Kuwait City, Thiruvananthapuram, Caracas, Houston, Manama, Sydney, Ludhiana, Howrah, Mexico City, Ahmedabad, Bhopal, Los Angeles, Kuala Lumpur, Istanbul, Rajkot, Madrid, New Delhi, Geoje-si, Jaipur, Busan, Al Jubail, London, Haryana, Melbourne, Secunderabad, Edmonton, Gurgaon, Colombo, Ranchi, Hyderabad, Lahore, Al Khobar, Muscat, Tehran, Thane, Bangkok, Chennai, Montreal, Milan, Riyadh, Bengaluru, Jakarta.